Today in Trump World: For that we turn to HAROLD MEYERSON, with the story of Trump’s efforts to recruit leaders of the construction trades. Harold ouf course is executive editor of The American Prospect and a regular contributor to the LA Times op-ed page and other publications. 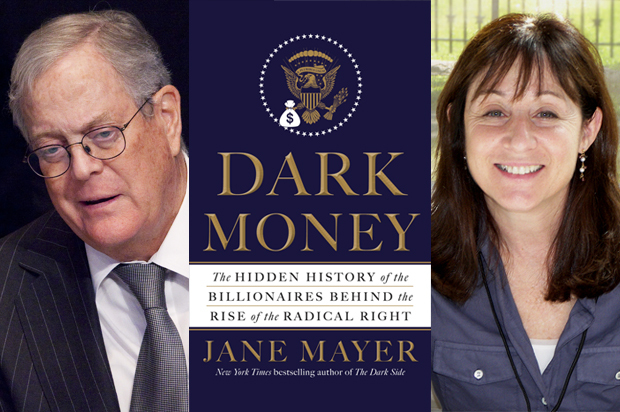 Plus: JANE MAYER of the New Yorker reports on Dark Money and Donald Trump – the big money donors, especially the Koch brothers, didn’t want him, but he won anyway – what does that tell us? Her book Dark Money is out now in paperback. And AMY WILENTZ will talk about Ivanka, our de-facto First Lady — what can she possibly do for women who work? Amy has the cover story in The Nation, about Ivanka.